A theme park containing five islands and one of them is Jurassic Park. 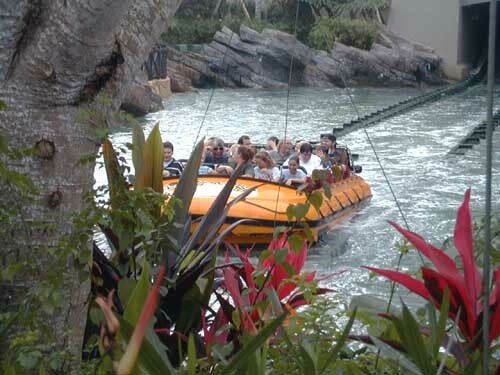 Jurassic Park in Islands Of Adventure is one of the best islands there! They have two rides. The Pteradon flyers you fly up high and you can basically see the whole park. River Adventure is a really good ride. You are on a tour boat and a hadrosaur knocks your boat into the raptor containment area. 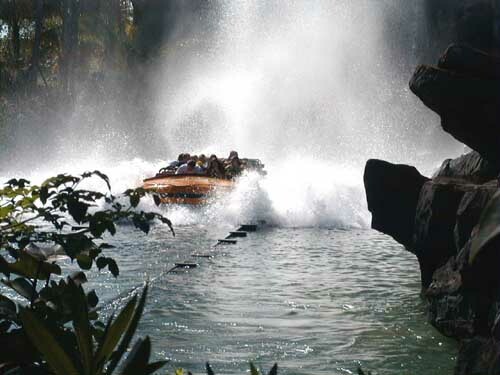 The T-Rex escapes and you have to plunge down a 85 foot water fall to narrowly escape it. Triceratops Encounter is not a ride. 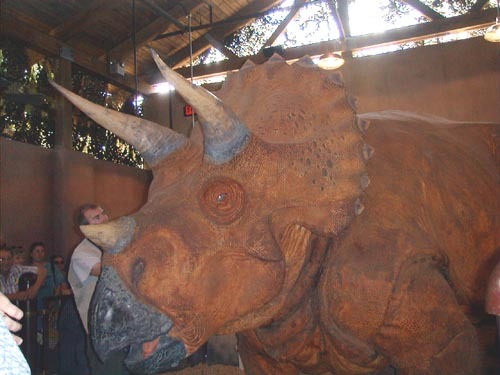 You look at a robotic Triceratops that looks incredibly real! Jurassic park in Islands Of Adventure is the best island on the theme park!